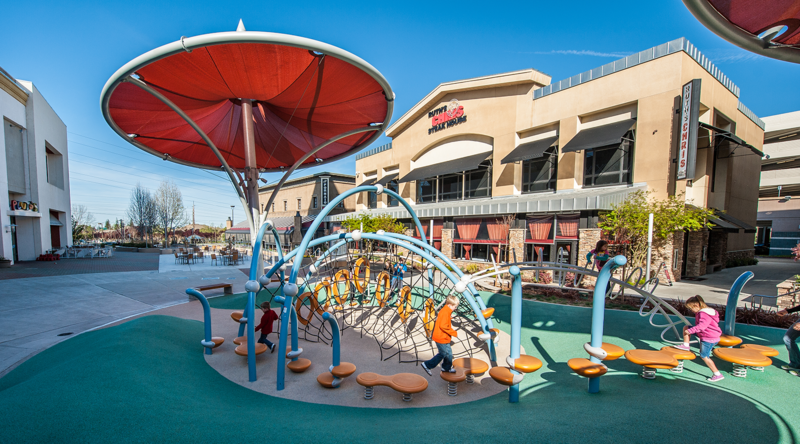 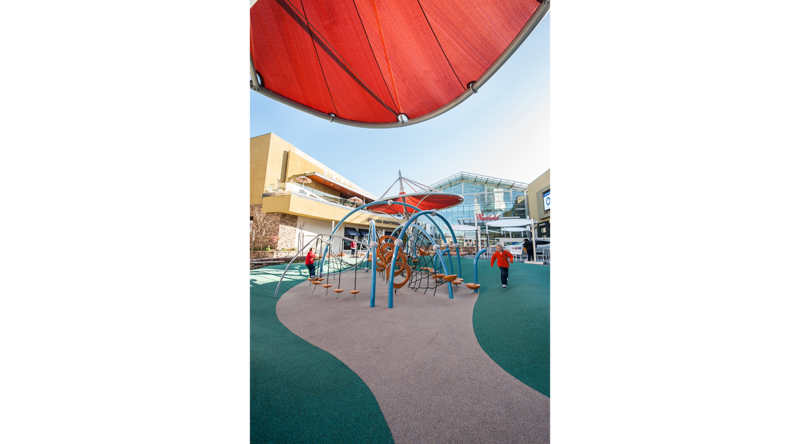 The play space at the Westfield Galleria shopping center is one of a kind. 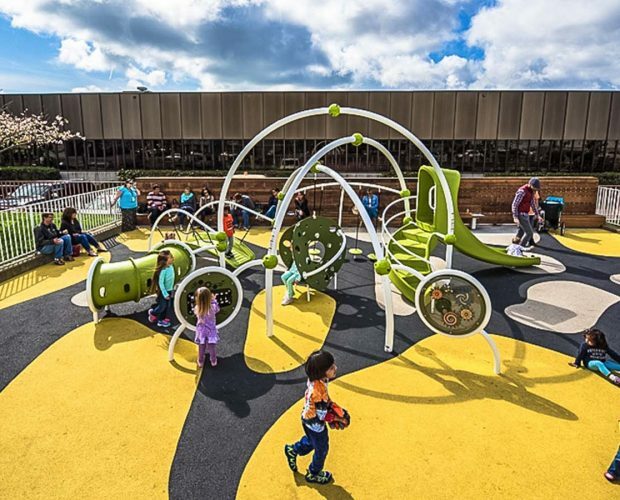 With rolling mounds, futuristic shade and uniquely designed play equipment, the space is both a visual and play experience unlike anything else. 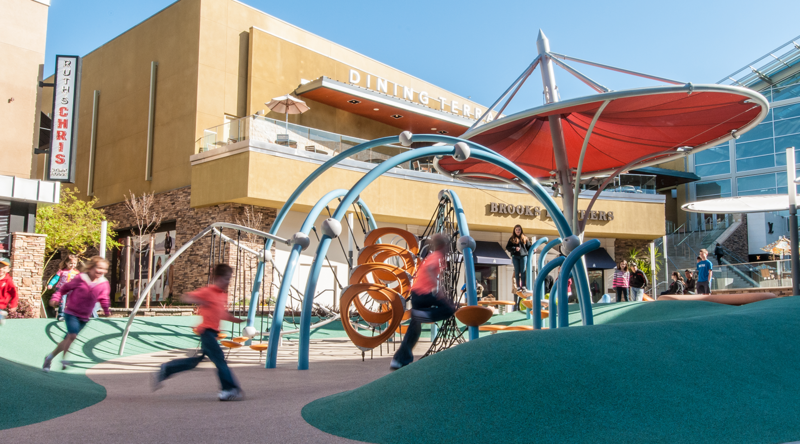 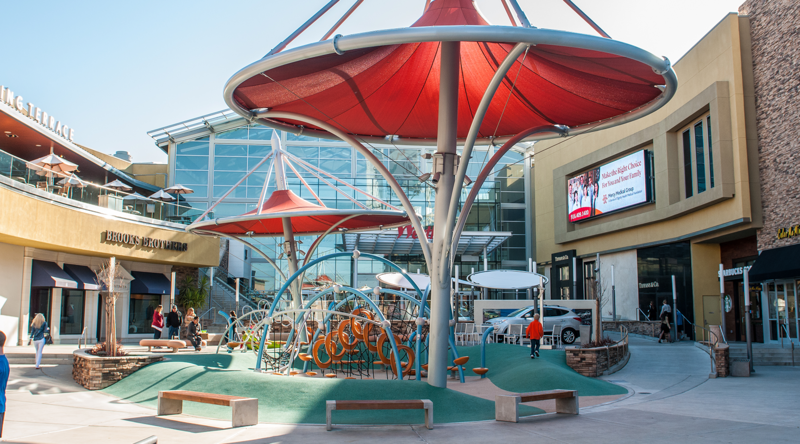 The play space offers an alternative to the surrounding shopping. 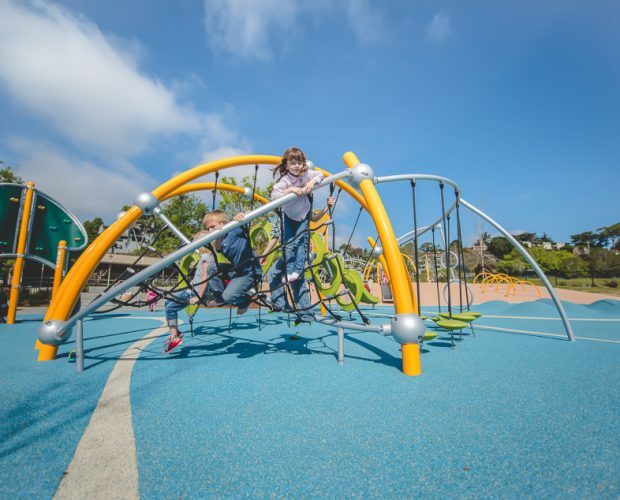 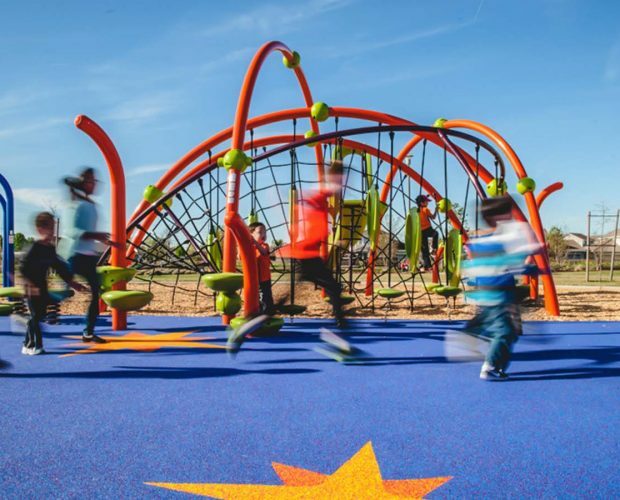 The Evos play system encourages unstructured, creative and active play while the rolling mounds gives a different design look and feel to the space.